Ludwig Wittgenstein (1889-1951) was an Australian philosopher who made important contributions to the foundations of mathematics and logic. He was one of the most important philosophers of the 20th century. His works on philosophy entitled Tractatus Logico-Philosophicus and Philosophical investigations helped make him a recognized name in this discipline. 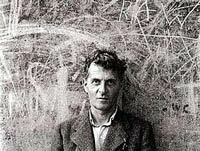 Ludwig Wittgenstein was born on April 26, 1889, in Vienna. He was the last of eight children in a highly cultured and wealthy family. His father was Karl Wittgenstein, a Jew, and his mother, Leopoldine, who was a Roman Catholic. Until the age of 14, Ludwig was taught at home. But since showed some talent for mechanics, he was sent to school that emphasized on physical sciences and mathematics. After three years, he joined a course in mechanical engineering in Hochschule in Berlin. Ludwig, being dissatisfied with the course he joined, then moved to England and enrolled as a research student in engineering at Manchester University. In 1912, Ludwig became fascinated with the foundations of mathematics after reading Bertrand Russell‘s The Principles of Mathematics. He then joined Trinity College in Cambridge where Russell was working and made a rapid progress in his studies. However, after two years, he moved to a primitive hut in Norway. This is the point at which Ludwig switched his interest from math to philosophy. During the outbreak of World War I, Ludwig returned to join the Austrian army. He first served on a ship and then in an artillery workshop where his fellow soldiers subjected him to cruelty. In 1916, Ludwig gained many distinctions for his bravery. However, in 1918, he was held captive and put in prison in Italy. During these years, Ludwig wrote The Tractatus, a work on logic, which he sent to Russell while he was still held as a prisoner in Italy. Russell published this draft, which was the only book published in Ludwig’s lifetime. After the war, Ludwig became a school teacher in an Austrian village. He received invitations to join Cambridge, which he rejected for years. But in 1929, Ludwig returned to Cambridge to resume his work in philosophy. While working at Cambridge, he refused to take part in the social amenities of the life there. Ludwig submitted his Tractatus as his doctoral thesis at Cambridge University. In it, he discussed in-depth the relationship of language to the world. He also argued that words were representations of objects and word combinations lead to propositions that are pictures of reality. Some of Ludwig’s works were published posthumously in 1952 as Philosophical Investigations. Ludwig’s works were interrupted due to World War II, during which he did a small job in hospital laboratories. After being dissatisfied with academic philosophy, he resigned his position and sought seclusion in Norway and Irish Coast. He visited his family members in Vienna and spent about three months in the United States, all while his health was deteriorating. He was diagnosed with cancer anddied on April 29, 1951, at his home.